The New Children Of Light: Indigo, Crystal And Rainbow – Are You One Of Them? Many children being born today are quite unique and different from prior generations. 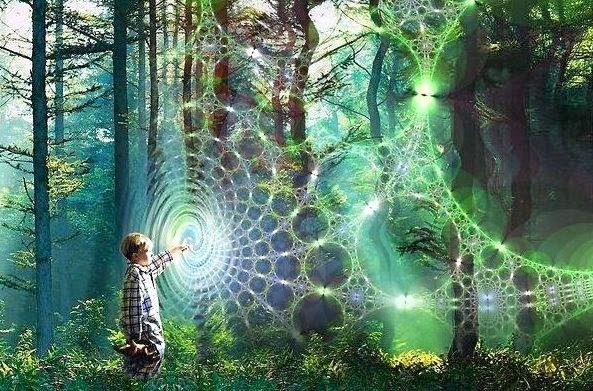 These New Children of light are more connected as they remember our spiritual connection. Each child expresses and experiences it in unique ways. And as a group, they are a more intuitive, more telepathic, more sensitive generation. There are older Indigo’s (known as Indigo Scouts) and younger as well. But the largest number of Indigos came from 1970 through 1995. 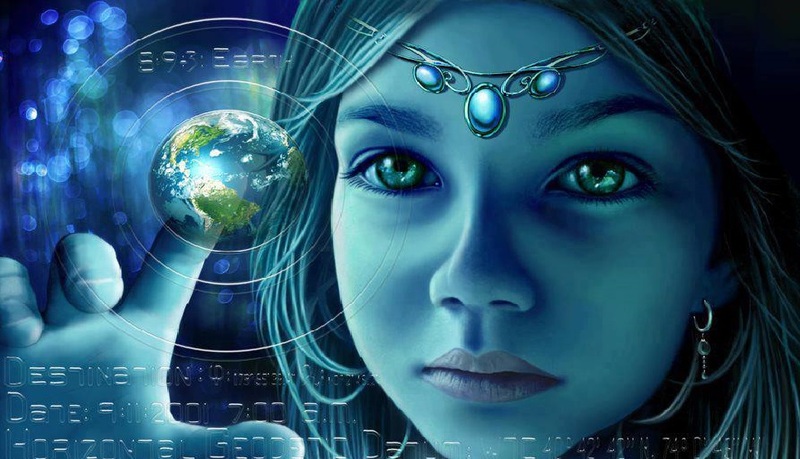 They have indigo auras which are connected with the Third Eye’s frequency; these children are creative and some have heightened psychic abilities of clear seeing, hearing, feeling and knowing. These abilities allow them to hear or see spirits/angels; detect dishonesty; or have accurate inner knowing about events, situations or people. They are sensitive and intuitive. Indigo’s are Intelligent, quick learners, technologically orientated and often have amazing memories. They are very academic in situations and are direct, determined and confident. Many display warrior temperament yet easily get frustrated with routines, rituals, rules and regulations and are often misunderstood, they can be rebellious and non-conformist as they only accept authority with free-will and respect, They also come across as hyperactive, impatient, in-considerate and direct, BUT, This relates to their high level of creative energies. 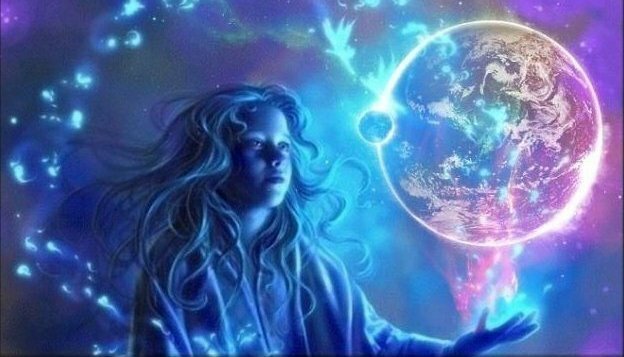 It is therefore important to help Indigo children to divert their energies to creative pursuits such as music, creative writing, arts and craft or even sport to keep them in focus. Indigos are natural leaders. They are wise old souls returning to lead us into a new age of cooperation, creativity and functional society where there will be no corruption and deceit. Crystal Children are here to show the way to peace and acceptance, hence they are also called “The Peacemakers.” Crystals love water, animals, plants, nature, and rocks. They are generous, highly affectionate and forgiving. Also, extremely sensitive to everything in their environment. Crystals are highly telepathic, they can read minds and people’s energy. They tend to communicate with their parents telepathically (sometimes, even before birth). It is not uncommon for Crystals to wait until they’re 3 – 4 years old to begin speaking, especially if they communicate easily with their parents without using words. Cystals show an intuitive understanding of spirituality and energy healing. Born into the Gold Ray of Incarnation and Evolution, which means they have access to gifts of clairvoyance and healing. They are born on the sixth dimension of consciousness, with the potential to open up rapidly to the ninth dimensional level of consciousness, and then from there to the thirteenth dimension, which represents universal consciousness. The Crystal child is incredibly sensitive, which stems from the ability to feel universal consciousness. You won’t be able to hide anything from these. You won’t be able to lie to them either, as they will know immediately what the truth is. It is important to mention that Crystal children know what is in your thoughts and even more importantly, what is in your heart. This is another reason why they are so sensitive. TheNew Children with a crystal vibration have the ability to reflect things back to the universe that are of no importance to them. Not only will they reflect this energy back, they will reflect it in such a way that it is stronger than when it was taken in. The trouble comes about when the Crystals are judged by medical and educational personnel as having “abnormal” speaking patterns. It’s no coincidence that as the number of Crystals are born, the number of diagnoses for autism is at a record high. The rainbow children are the third generation of special New Children that have come to help humanity evolve. The Rainbow children are generally born in the year 2000 and above. In some cases, there might also be a few scouts that came to earth before 2000. The few Rainbow children that are here today are born from early Crystal scouts that were born in the 1980’s. Born on the ninth dimension of consciousness, the dimension of collective consciousness. As many people might have experienced it, the Rainbow children bring joy and harmony to their families. 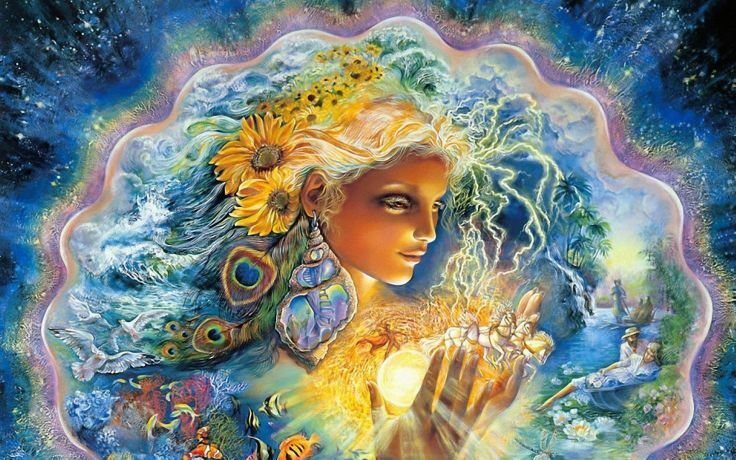 Unlike the Indigo and Crystal children, the Rainbow child is born to smile, which is accompanied by their huge hearts that are full of forgiveness. Rainbow children generally recover from a state of negative emotion quickly. This is also an important key that they hold, emotional mastery. Rainbow children are psychic and have the ability to read people’s feelings. This gift is usually revealed, as they grow older. They have strong wills and strong personalities. Their gifts do not stop there. Known to be natural healers and instant manifesters. It is said that whatever they need or desire they can instantly manifest. They also resonate with the colors around them. Drawn to color, colorful surroundings and brightly colored clothes. Their energy is expressed in other ways too, as they are high-energy children. Their enthusiasm is demonstrated in their creativity. The Rainbow children are thought to be the builders of the New World, using Divine will. Ascended well above 13 the centre of nothingness which only manod knows. The plague has desensitized, awakened ISIS defending your difference of sympathy & empathy still exploiting. What is fear?